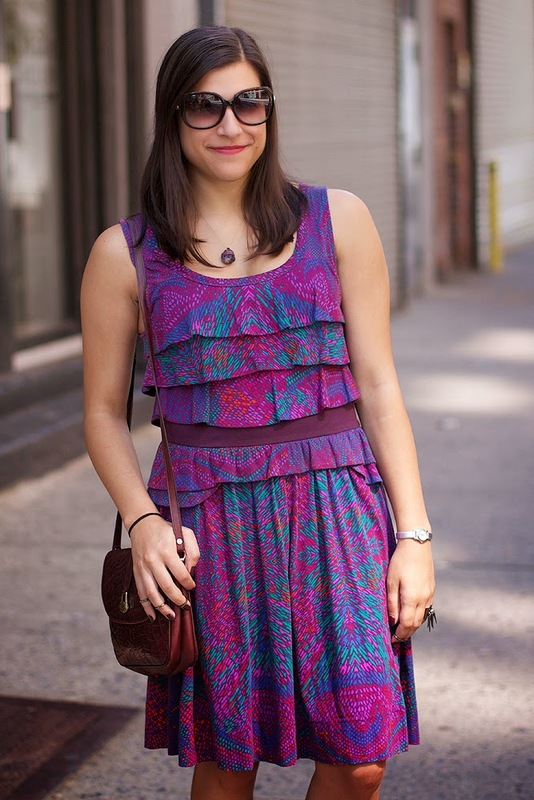 Here is my second New York Fashion Week outfit! I wore this to the Storefront X RePopRoom "Fashion That Pops" Champagne Brunch! I went with Lydia and my friend Alyssa joined us as my plus one! 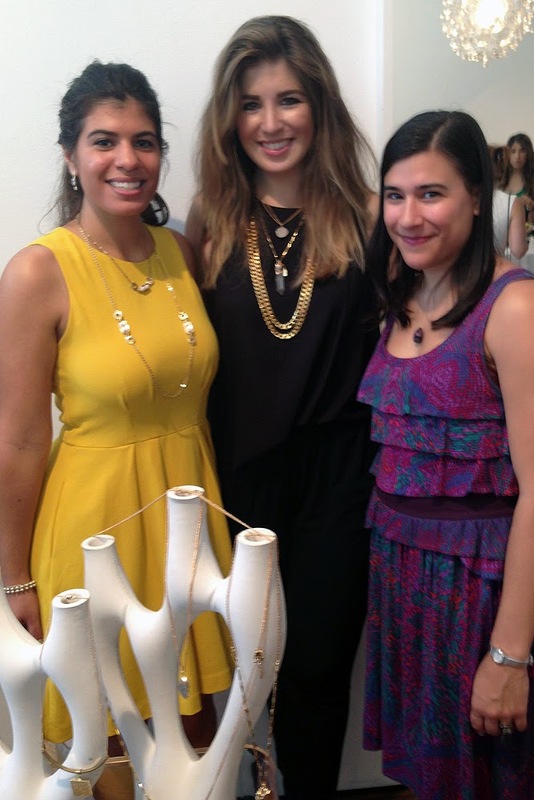 We were invited by Marrin Costello to see her amazing new "Stoned" jewelry collection. 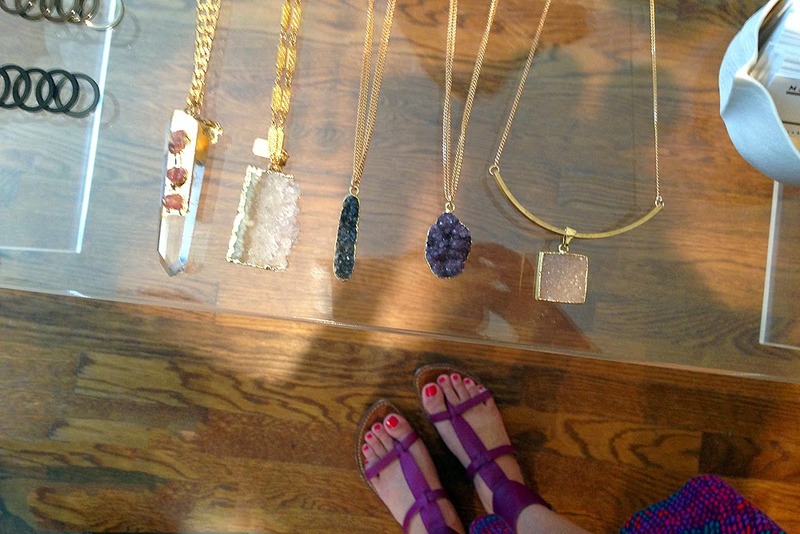 I cannot WAIT for the collection to be avaiable, there are so many beautiful necklaces and rings I want. 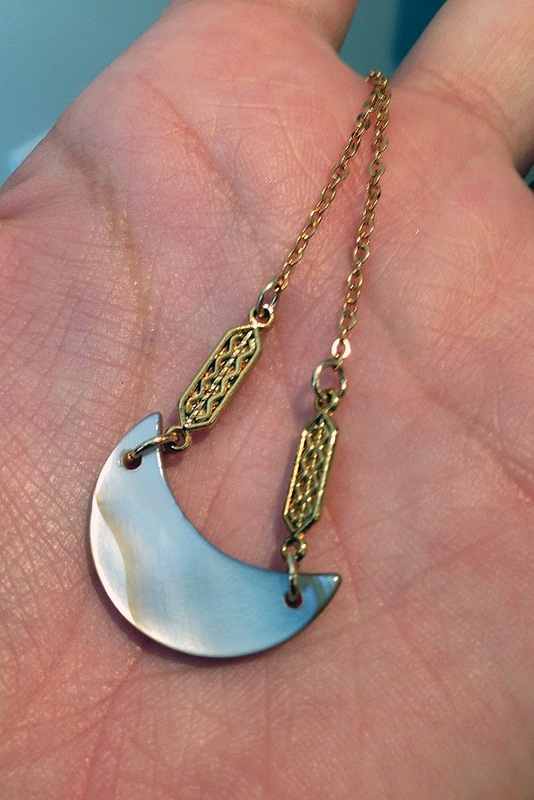 Since Marrin is super awesome, she let me pre-order the Pearl Crescent Necklace ($78, seen below) so I could enjoy it before it's officially released! 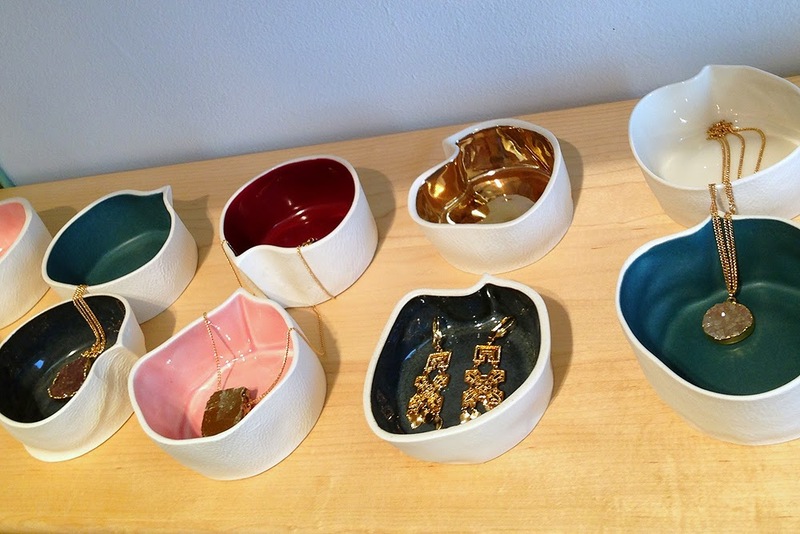 And a few photos of Marrin's new pieces which will be released online later this month! That was a fun event and I'm so happy we had the opportunity to attend! 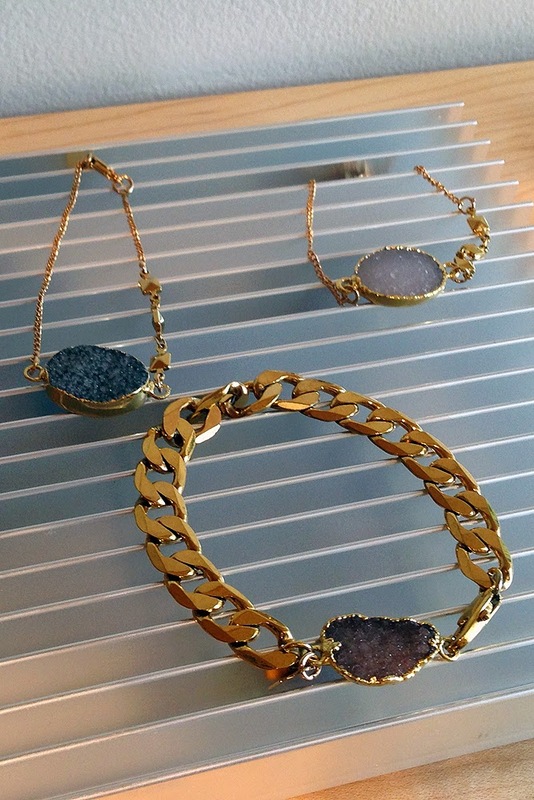 Marrin's new line is really gorgeous. Ooooh, those pieces are amazing - I love the one you were able to pre-order. And I also love your dress. Those bright colours really suits you. Your header is totally amazing! 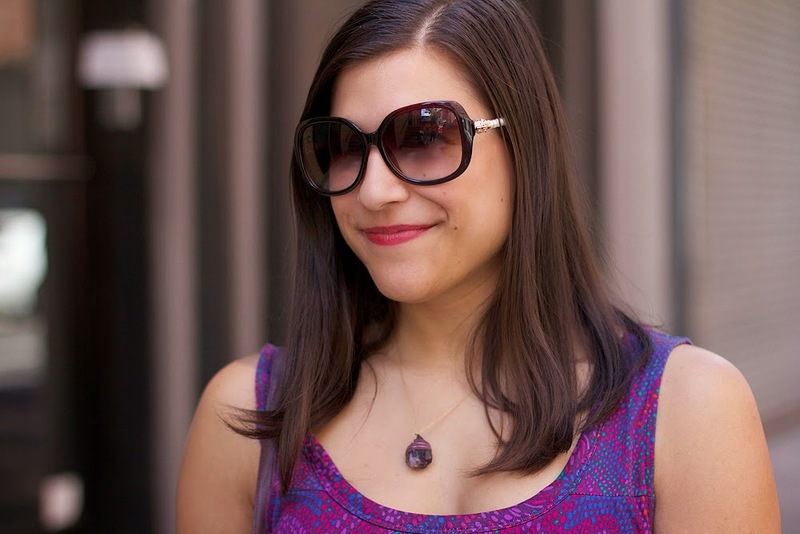 Catching up on your NYFW posts - how exciting! Love this color on you, absolutely brilliant. And I'm loving those geo-necklaces. I can only imagine how much fun this must have been.. and to meet the designer herself even better ! I fell in love with the Saratoga bracelet…. That looks like so much fun! It is always nice having photos taken by someone else. I really love the colors in your dress! One day I will go to NYFW! This looks like such a blast and of course your outfit is great!! I love the colors in this dress and your nails compliment it perfectly!